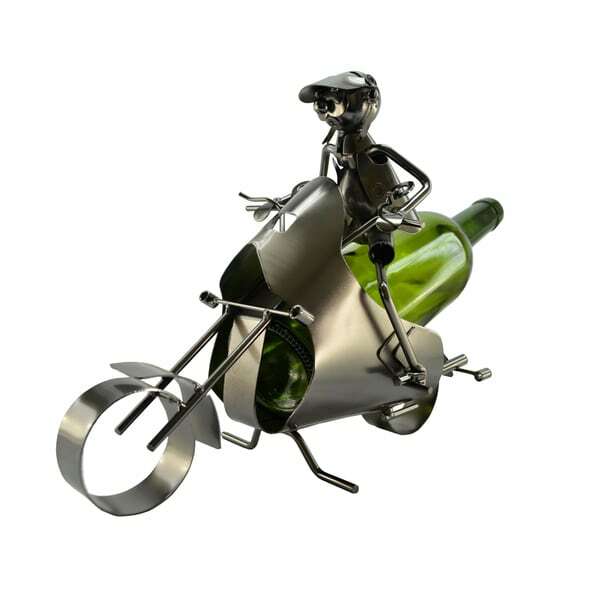 Great gift for my husband since he loves wine and motorcycles. This quirky decor item holds your favorite vintage bottle in a fun and stylish decorative accent. This bottle holder offers a functional but unique, personal touch of style to add to any decor.